This is a direct drive drum fan, so it typically requires the least amount of maintenance of any one of our barrel & drum fans. This model spins at 1120 RPM, and produces 10,900 CFM, but these high revolutions usually create quite a bit of noise (78 decibels on high). 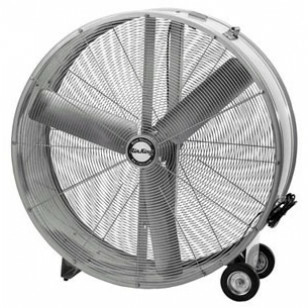 For a quieter model, please take a look at our belt drive drum fan, which produces at 13,000 CFM at only 68 decibels. 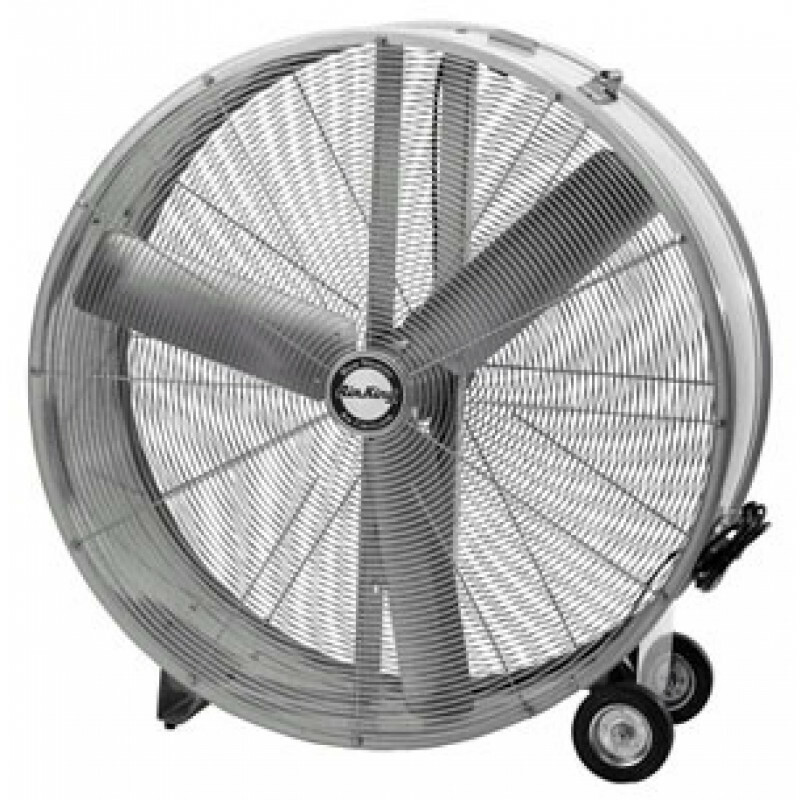 A direct drive fan is great for airplane hangers and industrial manufacturing plants where noise levels won't be a concern. 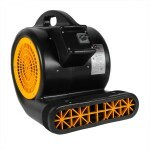 Direct drive is a maintenance free fan that will provide years and years of service. The powder coated steel frame is very rugged to prevent any type of bending, denting, or disfigurement. 1/3 HP motor runs at 1120 RPM, putting 78 decibels on its highest setting. 120V, 1 phase, ball bearing, permanently lubricated, permanent split capacitor motor. ETL & OSHA compliant for use in industrial facilities. This is a review for the 36 inch Direct Drive Drum Fan.